School holidays are always worth looking forward to. 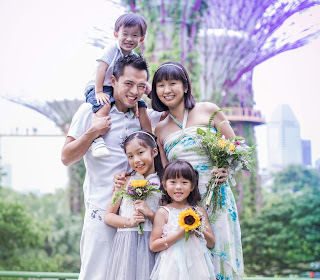 While that means parents have to brainstorm on what activities to engage their kids in or which country to visit for a vacation, it also means that this is a time for play, fun learning and family bonding. I was thankful that Angel had the chance to attend two June holiday workshops at HeART Studio and was able to create her first ever Robot and Fairy. Now, who says robots are just for boys? 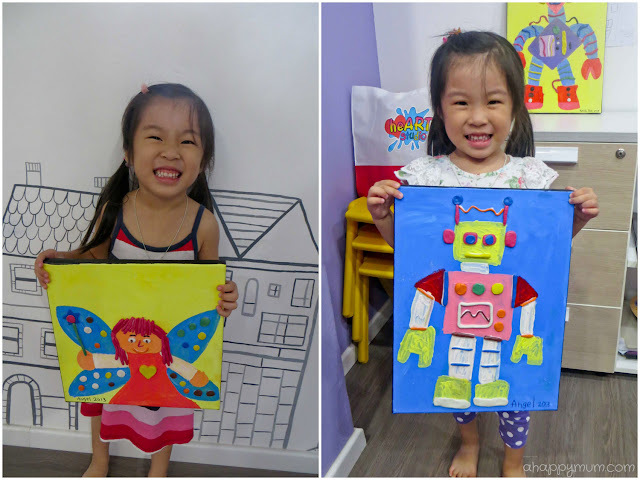 I was pleasantly surprised that my girl was very much intrigued by robots and the fact that robots are usually made up of all kinds of shapes made it a fun way for her to learn about squares, rectangles, circles and triangles. I was half expecting her to choose a pink background for her robot but unexpectedly, she chose blue. Next, from an array of robots from fat to slim, tall to short, she chose one that she particularly loved and started painting the shapes to make up its body. For embellishments like the eyes, buttons and wires, she was tasked to use modeling clay to create them and by means of rolling, pressing and coiling, it was a good way to enhance her dexterity and fine motor skills. For the fairy painting session, I was very much looking forward to seeing how Angel's first fairy would turn out. Would she have long or short hair? Will she have big or small eyes? Will she be slender and slim or short and stout? It ended up that the fairy resembled her (except for the pink hair) and that made the artwork all the more precious. 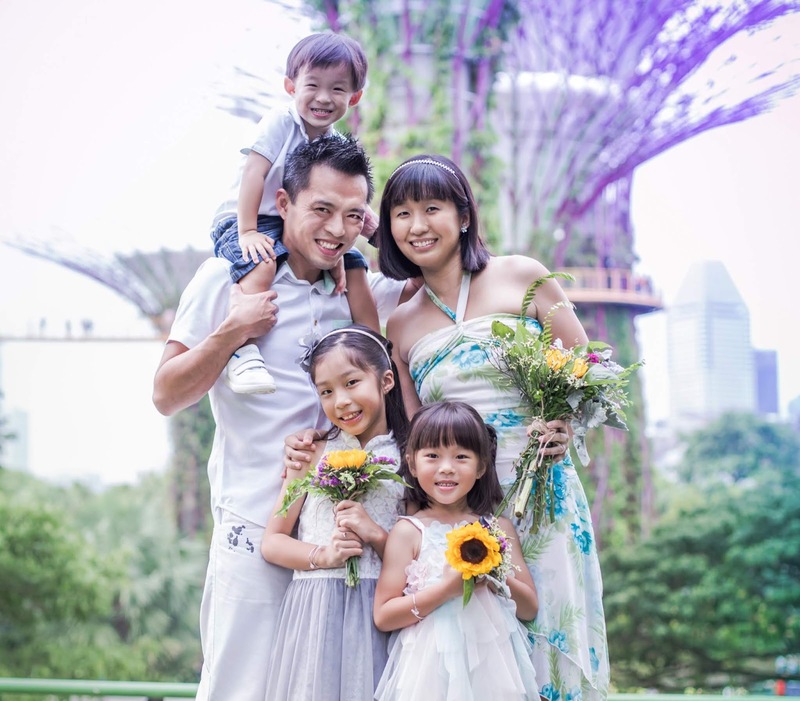 From the beginning to the end, Angel had perfect control over all the colours in her canvas. Yes, every colour that you see, from the yellow background to the pink dress and orange face, was her very own choice. With the help and kind guidance of Teacher Syafiq and Teacher Elma, her fairy slowly came to life. The use of clay also adds a three-dimensional effect to the artwork and it trains up my girl's patience as she really needed to take time and effort in making the fairy's features from the eyes, nose and mouth to even a magic wand and decorations for the wings and dress. 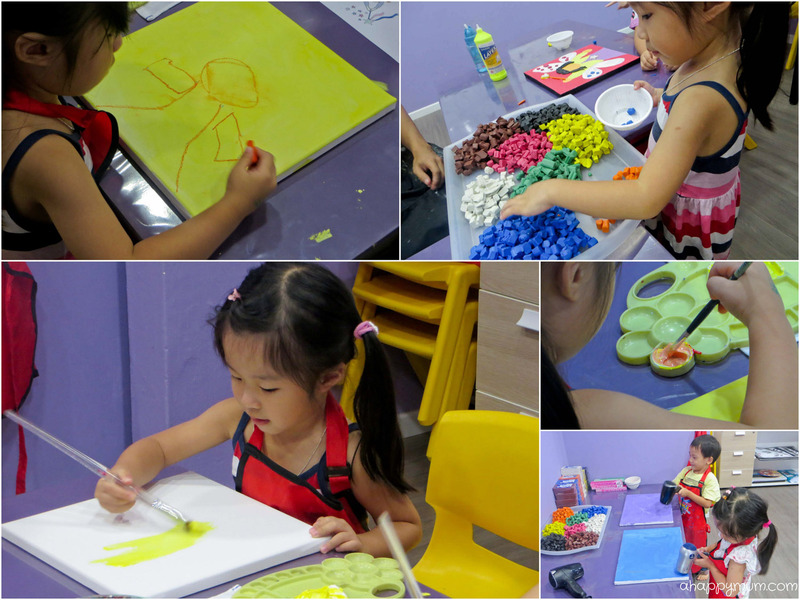 In these two classes, I also saw how my girl learnt to be more independent, from sketching shapes and mixing paint colours to picking out different clay colours and drying her own artwork. Most importantly, she always comes to class with anticipation in her heart and a big smile on her face which is pretty evident of how immensely she enjoys the art lessons. Ta-dah! So here are her final artworks of her angelic fairy and cool-looking robot. Do you like them? Dear Angel, you did an awesome job and Mummy is so going to treasure these canvases and hopefully one day, we can have an art gallery at home where we can display all your impressive works of art!